A stalwart critic of Paul McCartney becomes a fan. The news of another book about Paul McCartney carries about as much surprise as the announcement of a new song by him. There are so many already that one more seems at once unnecessary and inevitable. Since 1975, when the English rock-book writing factory George Tremlett blurted forth The Paul McCartney Story, no fewer than nine biographies of McCartney have been published by authors ranging from the veteran music journalists Chet Flippo and Howard Sounes to Barry Miles, the baron of bohemian London who wrote the only book authorized by McCartney and based largely on his own words, Many Years from Now (1997). These are all distinct from the dozens and dozens of books about the Beatles and their times, all of which deal with Paul, of course, since he was one-fourth of the band, though not by the math once offered by Philip Norman. According to Norman, a British journalist and author who wrote one of the most respected histories of the Beatles, Shout!, as well as a biography of the group’s original leader, John Lennon: The Life, McCartney was actually somewhat less than a fourth of the Beatles. In an interview on Good Morning America to promote Shout!, Norman said he considered Lennon to be “three-quarters” of the Beatles, a position that his book supported, Lennon’s widow Yoko One approved of, and Paul McCartney found infuriating. (Sir Paul referred to Shout! as “Shite.”) This makes the arrival of the latest McCartney bio uncommonly interesting, since it has been written by Philip Norman. Paul McCartney: The Life (Little, Brown and Company; $32) opens by addressing Norman’s history as a Lennon booster, to McCartney’s detraction. As Norman explains, he had been acting until recently out of sublimated Paul envy. “Actually, if I’m honest,” he confesses, “all those years I’d spent wishing to be him had left me feeling in some obscure way that I needed to get my own back.” To reclaim his own identity, Norman had to shake McCartney out of his system, and to do that, he needed to valorize Lennon. Okay. I’m not a psychoanalyst, but I can almost understand how that would work. The agenda of Paul McCartney: The Life is clear: to give the enduringly popular, almost inconceivably successful former Beatle his due as something more than the “great manipulator” he was portrayed to be in Shout! The book succeeds at that, describing McCartney as so far ahead of Lennon as a musician at the time they met that John was reluctant to invite him into his band, for fear of being overshadowed. Norman recounts McCartney’s early role in creating the Beatles expansive repertoire, describing him as “always at the forefront of this experimentation.” He shows how McCartney stimulated Lennon—made him “come alive when they were together,” as Norman quotes an old friend of theirs as saying. He covers McCartney’s absorption into the London avant-garde scene, taking in Cage and Stockhausen, under the tutelage of Barry Miles. And he respectfully covers McCartney’s many post-Beatles triumphs as a pop hit-maker with Wings, an irrepressibly prolific solo artist, and composer (or co-composer) of classic works and experimental electronica (under his Fireman pseudonym) as well as countless irresistible pop trifles. That is to say, Paul McCartney: The Life does all the work that half a dozen other equally good McCartney biographies before it have done without adding significantly to our understanding of an artist who feels strangely outside our grasp, despite his virtual omnipresence in popular culture for more than 50 years. One problem is Norman’s sloppiness as a researcher and writer. He makes errors that could easily have been avoided, quoting McCartney in a scene in the documentary film Let It Be that Norman describes as “an exchange between George and Paul” over “a riff which Paul thought could be played better.” Norman quotes McCartney as saying, “You see, it’s got to come down like this. There shouldn’t be any recognizable jumps.” There was a such a scene in Let It Be, for sure, though it caught a conflict between Paul and John, not Paul and George. As Norman describes McCartney’s first solo album, “the whole thing was taped at Cavendish [Paul’s home]…on a single four-track Studer machine set up in the living room,” although it is well documented that some of the tracks, including the standouts “Every Night” and “Maybe I’m Amazed” were recorded professionally in the Abbey Road studios. Elsewhere in his section on that album, Norman refers to a song called “Suicide” as one of “two tracks” that “strayed from the overall atmosphere of having fun at home.” But McCartney plays only a tiny snippet of “Suicide” on the piano, tacked onto the medley of “Hot As Sun” and “Glasses,” on McCartney. 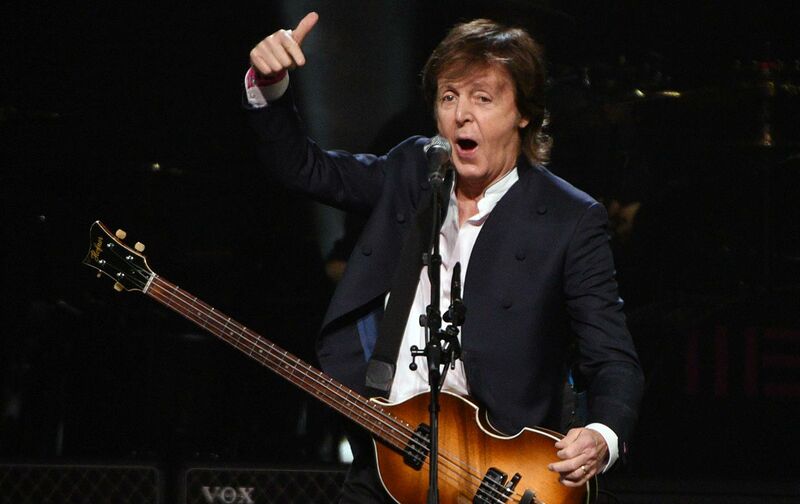 A longer performance was indeed included on a special edition of McCartney released in 2011, but it was done casually by Paul alone at the piano, very much in the spirit of having fun at home. Above all, Paul McCartney: The Life is intrinsically limited by the focus its title indicates. McCartney’s life as an internationally beloved superstar is just not as interesting as the music he has made. The most revealing McCartney book—and the one with the best potential to reconcile his place relative to Lennon—is the one no author has written yet: a smart, critical analysis of his enormous body of wildly popularly and varied, often brilliant but sometimes simply awful work. While the lives of Paul keep piling up, we’ll just have to wait for Paul McCartney: The Music and enjoy and puzzle over the most enjoyable and most puzzling music of our time.